23.5w x 24d x 83.75h "
Preserve every incredible moment in your culinary adventures with the New Freedom® Refrigeration Collection. Taking personalization to a new level, the Fresh Food, Freezer, and Wine line features custom exterior and interior renovations, so every element has been meticulously crafted to let you flavor life the way you like it. 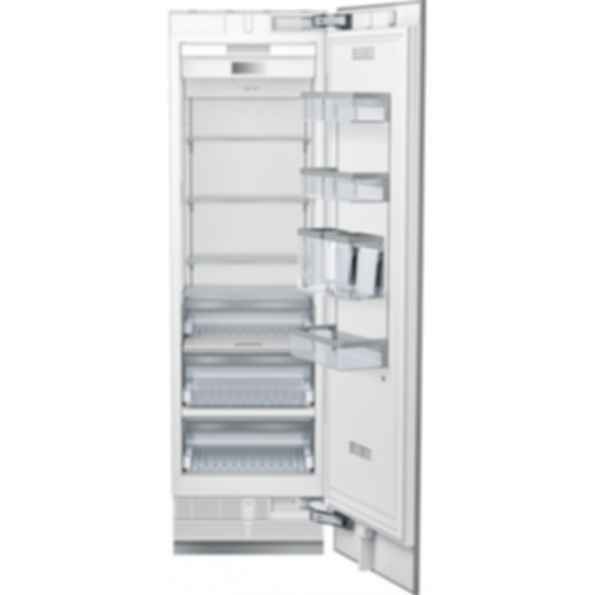 From new 36" columns, to 23.5" refrigeration - specifically designed for pairing with 18" and 24" freezers to accomodate predetermined 42" and 48" spaces - the collection makes a big statement in preservation innovation. Thermador has been providing real innovations for real cooks for more than 75 years. The iconic line of cooking, cleaning, refrigeration and ventilation products remains committed to empowering culinary enthusiasts to be their best through continuous innovation breakthroughs -- from the world's first wall ovens and gas cooktops with the patented Star® Burner to a speed cooking oven that reduces cooking time by 50 percent.